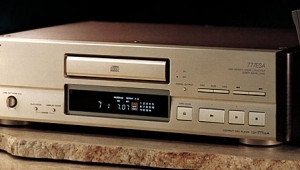 When the Compact Disc was first introduced nearly ten years ago, many were critical of the sound quality from this medium that promised "Perfect Sound Forever." 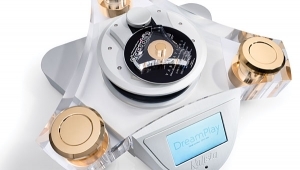 To many sensitive listeners digital playback was a travesty that paled by comparison to even modestly priced turntable/arm/cartridge combinations. 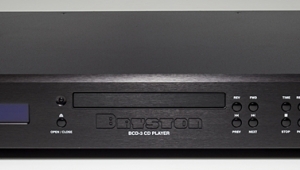 Ironically, those listeners who first praised CD sound have been forced to recant when confronted by the huge improvements in digital to analog conversion (and A/D conversion) seen in the past few years. 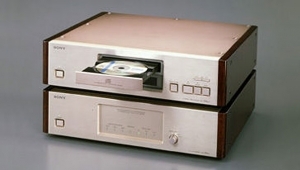 No one was more critical of CD than Linn Products and its founder and guru, Ivor Tiefenbrun. Ivor is the man who nearly single-handedly taught the world how important the turntable is in the music reproduction chain. His audio philosophy—and marketing strategy—indelibly changed the face of high-end audio around the world. 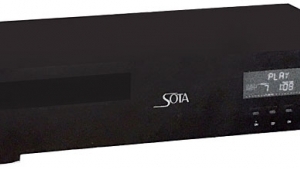 The concept that the front end of any playback system is the most important seemed radical to those who felt (and still feel) that loudspeakers are the primary determining factor in sound quality. Beginning in the early 1970s, Ivor tirelessly demonstrated his views—and his product, the Linn Sondek LP12 turntable—at hi-fi stores and shows. Ivor also sought to teach the man on the street that playback quality was important, and that you didn't have to be a trained, critical listener to enjoy the benefits of high-quality music in the home. His efforts were well rewarded: more than 100,000 LP12s have been sold; remarkably, this turntable was the standard by which all other turntables were judged for over a decade (footnote 1). But back to CD replay. Ivor once made the statement that Linn wouldn't sell a CD player until the technology was advanced to the point that it could outperform his lowest-priced turntable, the Linn Basik—never mind the LP12. 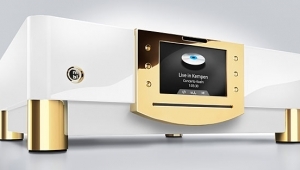 While other manufacturers rushed to market with new digital products every year, Linn was quietly pursuing its own digital agenda. They developed digital products for their own purposes—learning and evaluation—without feeling the need for immediate return on investment. 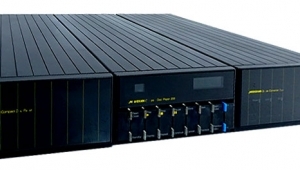 Part of their research effort involved designing A/D converters for their own recording projects. They felt the need to be involved in the encoding side of digital audio to fully understand the decoding side. 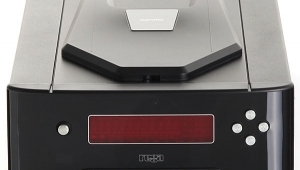 The result was the Numerik processor, a $50,000 audiophile version of the professional Sony PCM-1630 (which is used to make virtually all CD master tapes). 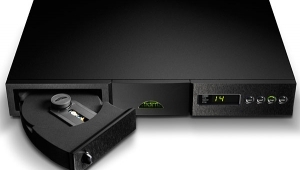 And now, after years of anticipation, speculation, and rumor, the Linn CD Player has arrived. 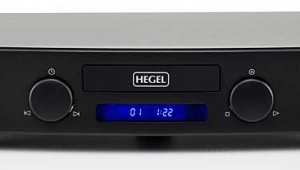 Serial number 000001 came off the line on a Tuesday, and by Thursday, John Atkinson, Martin Dalgleish (Linn's Product Development Manager), Gary Warzin of US distributor Audiophile Systems, and I were auditioning it in my listening room. 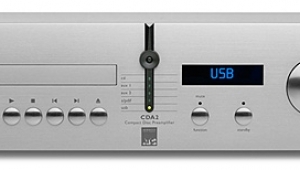 Was the Linn CD Player worth waiting for? The transport is called the Karik. The name is a variation on a Gaelic word that translates loosely to "a pinnacle appearing out of the water." 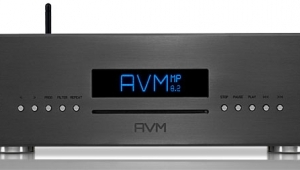 The processor has been dubbed the Numerik, after Linn's professional processor. With identical dimensions and black finish, the two pieces look quite at home stacked atop each other. The Numerik's front panel is minimalist, with only a power on/off switch and a green LED to indicate that the unit is powered. 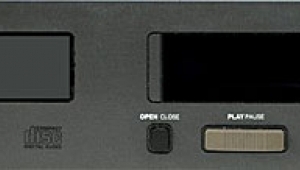 The Karik's front panel is similarly understated: three buttons, disc drawer, and a fold-down panel are the only features disturbing the solid black look. This is in keeping with Linn's idea that CD replay should be as simple as LP replay: put the disc in and press one button. Most of the usual CD features are found behind the Karik's panel, including search, skip, index search, and display control functions. Most users, however, will use the large remote control supplied with the system. This remote is identical to that used with Linn's Kairn preamp and Kremlin tuner. 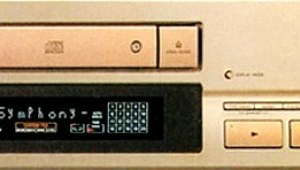 Consequently, there are many more buttons than on a standard CD player remote control. The remote will work pointed in any direction, and even from another room (provided the doors are left open). With an all-Linn system, the remote can control a multi-room installation. RCA jacks on the Karik allow wired remote-control operation. 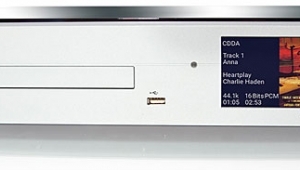 The Karik's front-panel display defaults to track number and play/pause indicator. 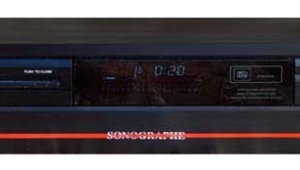 Four time displays can be selected from the front panel or remote control: total time elapsed, track time elapsed, total time remaining, and track time remaining. A button on the rear panel turns the display off after 20 seconds of receiving a command. The display is reactivated by using any function.